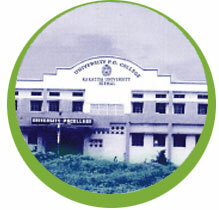 Established in 1991 as the first department at the University P.G. College, Nirmal, it offers M.A. (Sociology) course, M. Phil. and Ph. D. research programmes. It subscribes to several journals and maintains a departmental library with a good collection of reference works and textbooks. The faculty members have undertaken the projects and surveys of the Government of Andhra Pradesh with regard to a large tribal population. The department is using the expertise of the personnel at ITDA, DRDA and other district agencies to strengthen the ADIVASI MUSEUM, besides acquiring the artifacts and articles from different sources. The department successfully organized the 6th Sociological Conference of the A.P. Sociological Society in 2004.